August is Safe Work Australia’s ‘Tradies Health Month’. 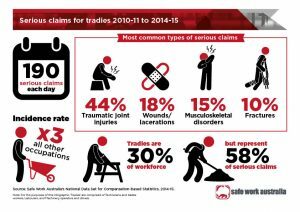 Although tradies only make up 30% of the workforce, they account for more than half of serious injury claims for Workers Compensation. 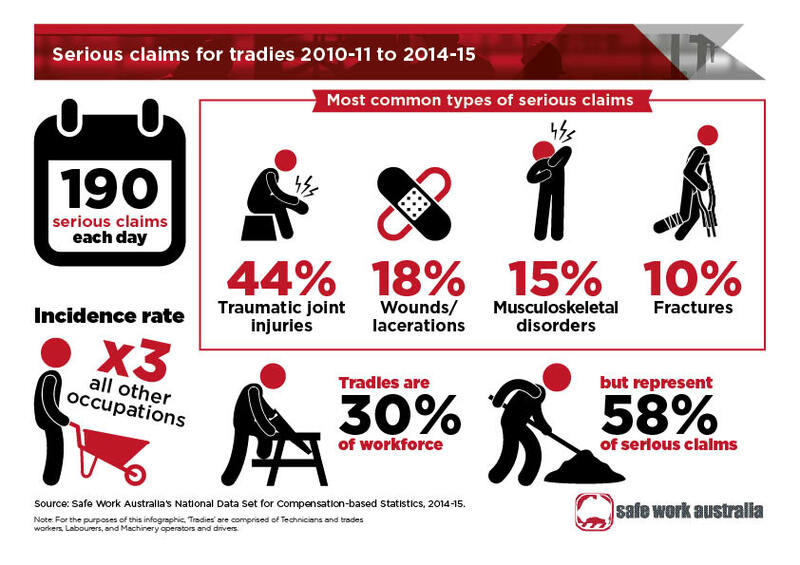 For these statistics, tradies consist of technicians & trades workers, labourers & machinery operators and drivers. So this August, let’s all make a concerted effort to keep all our tradies safe & healthy at work.